Total Immersion, alone among all approaches, makes the reduction of waste—in effort, energy, and time—the foremost consideration in its training programs and prescriptions. This leads logically to applying these core principles to the planning of any training cycle (a period of several months, focused on a particular goal), session, set, or repeat. Principle #1 Seek continuous improvement. Because our inherent efficiency is so low to start with, our potential to improve it is limitless and lifelong. Thus, your foremost intention for each practice or swim should be to improve your swimming. Before each practice, identify an improvement opportunity, choose the means by which you can achieve it, and how you’ll measure improvement. Afterward, assess how you improved, what you learned . . . and how eagerly you anticipate your next practice. The goal of Continuous Improvement has proven so valuable to so many, that the Japanese term (and philosophy) Kaizen—the art of making great and lasting change through small, steady steps—has become a byword for thousands of TI enthusiasts. A common feature of traditional workouts is directives to swim hard. As well, traditional drills and sets (breath-holding, drag devices, etc.) are often designed explicitly to make you more tired. But swimming is plenty hard enough already; we needn’t try to make it harder. When your intention is to work harder, the only guarantee is that you will work harder. And almost certainly more wastefully. Your consistent and conscious goal should be to seek the easiest way to accomplish any task. This doesn’t mean we avoid challenging tasks. Rather that--though they may be difficult initially--you focus brain power on lowering the difficulty, instead of muscle power on pushing through it. Take small steps. Whenever you increase some element in training--distance, stroke rate, pressure applied to the water—make a small change, then assess how it impacts the trade off between speed and efficiency or effort. Before raising the bar again, recapture the efficiency or ease you felt prior to the change. Should you swim farther? When you ask yourself if you should swim farther—in a repeat, set, or practice—the best reason for doing so is that will help improve your swimming. 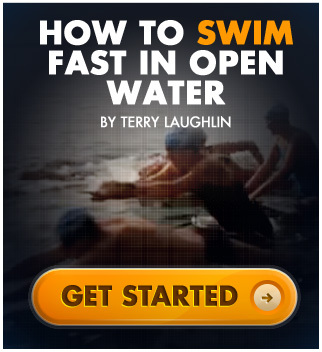 Swim farther because it provides more opportunities to hone or imprint a skill. Or do so because it may reveal a weak point—which you can then focus on improving. Following these efficiency-oriented principles will greatly improve your chances of achieving your endurance, speed or performance goals. You’ll also finish every swim feeling energized--in body and mind—ready to give your best to the rest of your day. And finally, by converting swim training from a lap grind to a problem-solving exercise (solving the Three Percent Problem), you’ll develop thinking and learning habits you can apply to anything. 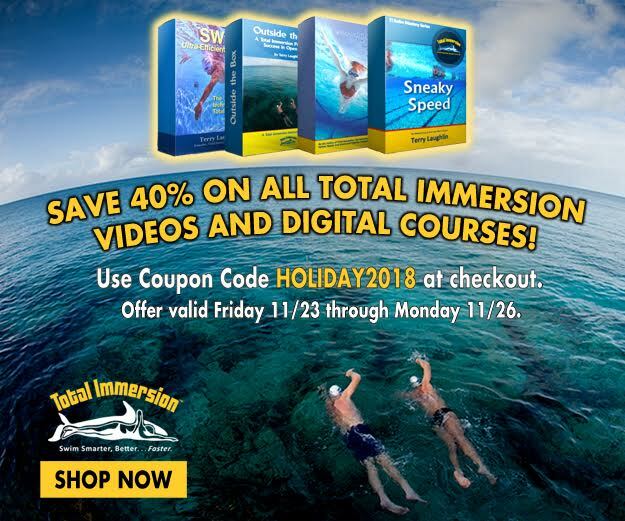 © 2008 Total Immersion, Inc.